This past November, Sony Computer Entertainment America released God of War Collection, which took God of War I & II, cleaned them up a little bit, upscaled them to 720p, threw in some trophies, and pressed them on one convenient Blu-ray disc for the PS3. That sounds great, if you happen to live in the US, but not so great if you live across the pond. That’s about to change, as God of War Collection will be hitting the UK on April 30th for £24.99. 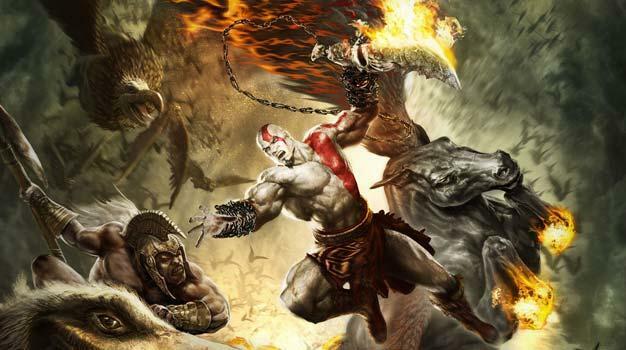 On top of that, Sony has also announced God of War Trilogy, which throws in the recently released and critically acclaimed God of War III for good measure. The whole shebang can be yours for £64.99, which might be the angriest and most violent £64.99 you will ever spend.